Today’s show is show zero. 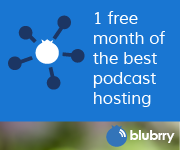 Why would you need a show zero and what does it do for your new podcast? I will go into that and do a little introduction of myself and my past in the online new-media world of podcasting. I will also tell you what this podcast will be about. Podcast episodes are distributed by a internet protocol called an RSS feed. RSS stands for Real Simple Syndication. 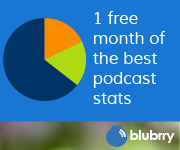 People subscribe (For free) to the RSS Feed in what is known as either a feed reader or a podcatcher. The most popular one is Apple’s iTunes application (and now the IOS “Podcasts” app). There are many other podcatching programs and apps out there that we will go into on a future episode, but the main thing is the RSS feed. To get your show listed in the iTunes store and other podcast directories you need to have an active RSS feed WITH enclosures. Enclosures are an mp3 file or video file that is a podcast episode. You must have at least one enclosure for itunes or any of the others to list your show. Doing a show zero does this so that when you launch for real, your show is already listed in the directories.